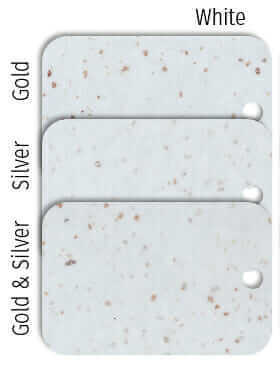 Home » Kitchen Help Category » Glittery sparkle laminate — available again ! Glittery sparkle laminate — available again ! Sparkle laminate aka glitter laminate is available once more — surely one of the biggest news stories of the 21st Century here in Retro Renovation Nation. Yes, one of our dreams has been answered, by a tenacious entrepreneur, Susan Halla, owner of the company Make It Midcentury, who saw the need and worked to fill it. BIG NEWS!!!! JUMPS FOR JOY!!!! 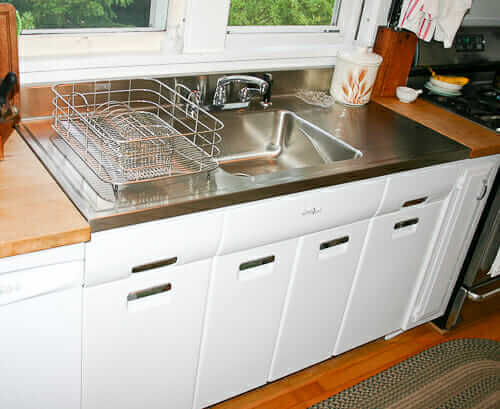 Howdy hudee — and install your hudee on a sink set in: SPARKLE LAMINATE! You read it here first on Retro Renovation! Susan Halla, owner of Make It Midcentury. Photo by Vixen Pin-up Photography in Kansas City. 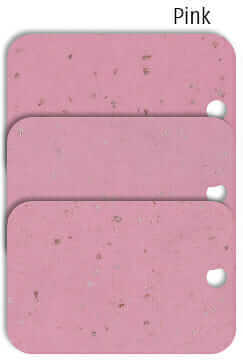 Vintage sparkle laminates used different kinds of ‘inclusions’ to get the glitter effect. Sometimes it was actual pieces of aluminum glitter. Other times, it was other substances. Sparkle laminate — aka glitter laminate — has a longtime history in midcentury houses beginning in 1960 all the way to the early 2000s. Susan told me that her design includes the same kind of inclusions common in styles back in the day. Not aluminum glitter — so I won’t call this glitter laminate — but yes, another authentic inclusion that was used for decades. Q. Tell us about you. I am an architect and have my master’s in historic preservation where my concentration was the recent past. I had been a Principal at a boutique firm here in St. Louis (but doing projects internationally). It was A LOT of travel (when you hit Companion Pass on Southwest and Platinum on American Airlines in the same year, you know you’re traveling too much). Fun fact – my concentration at the boutique firm was forensic facilities – crime labs and medical examiner facilities. I’ve seen a lot of drugs and dead bodies. However, none of my jobs since grad school had anything to do with my historic preservation degree and I decided that it was time to try my hand at my own business catering to people like me – DIYers excited about mid-century. Q. Tell us how you made these sparkle laminates happen. I was intrigued by the Crestview Doors idea, and when they closed, I decided to jump into the fray with door kits. As I am a frugal person, I particularly loved the concept of kits which made new door ownership within reach of people that have a little handiness (or aren’t afraid to get handy). 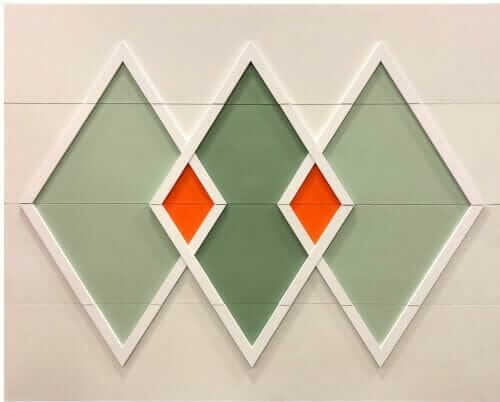 Through examples in my neighborhood along with ogling other mid-century neighborhoods around the country (both in real life and via the internet), I found that there were so many door styles … and wanted to give those doors a voice on the mid-century scene. I also started with two other door kit products – interior door and garage doors. 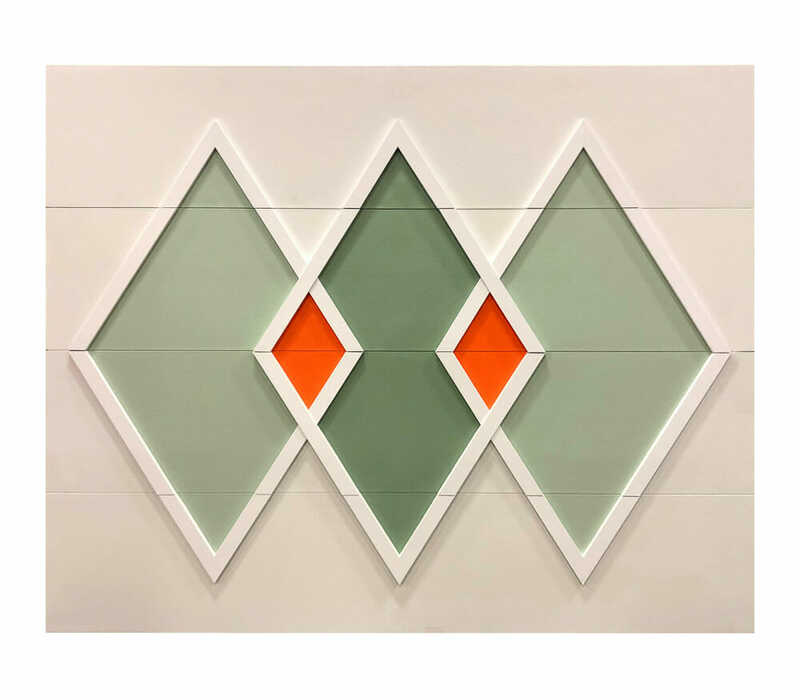 The interior door kits, unlike the exterior door kits, are not authentic but are a nice way to mid-century-ize your home especially if you don’t live in a mid-century. We also started our business with two different garage door kits – one for more traditional raised panel garage doors and a kit for those who are lucky enough to have (or are buying) flat panel garage doors. The raised panel garage door kits dress up existing garage doors and give a more mid-century look. Our flat panel kits give those garage doors some serious oomph. I always knew that I wanted to keep expanding the business to provide even more products that are hard-to-find for the mid-century homeowner. The first in our expansion (merely because it was easier to implement) are shutters. Many people live in more traditional mid-century homes and are stuck with plastic shutters from big-box stores in fixed sizes and shapes. 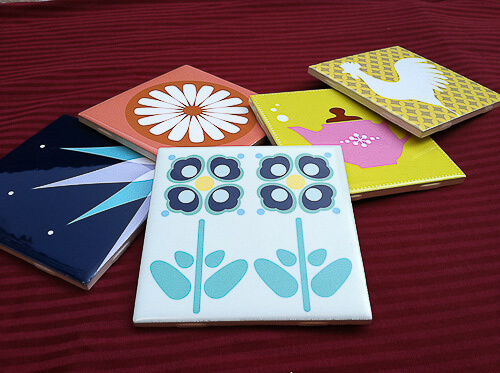 I wanted to be able to offer designs that speak to mid-century and come in interesting shapes. We listed the most common sizes of shutters in our catalog, but we can do pretty much any width and height (and we don’t have any upcharge for a “custom” size). And here (FINALLY) what you wanted to know about – the laminate. I knew right away that glitter laminate would be the holy grail of laminates (and also the most difficult since it is not a printed pattern). We started developing the laminate at the same time as the shutters, but the laminate took much longer to complete the R&D process. We started by hand-making our paper, and the results were great. But with inside information (from YOU), we were able to talk to Onyx Papers, who can still make the inclusion paper found in the original laminates. They even had some samples of original papers that we had pressed into laminate which looked great. However, (and there’s always a “but” or “however”), the minimum order of paper from Onyx is 20,000 LF. And that would have only been one inclusion type – gold, or silver, or gold and silver, but if we wanted all three, we’d need to order 60,000 LF of material. Unfortunately, that was not in the cards for us as far as upfront financing. We ended up falling back on the handmade approach. There was a big benefit, though, because in doing so, it opened up the opportunity to add more background colors to our line much more easily than if we used the Onyx paper. To choose what colors to start with, we ran a survey, and the most highly requested colors were aqua and pink. So now, in addition to the white, we have tested and are selling aqua and pink. All of our colors come in either gold, silver, or gold and silver inclusions. A quick word about the inclusions – they are actual inclusions that are randomly sized and randomly distributed – just like they would be in the Onyx paper. The inclusions are not glitter (which only comes in regularly sized shapes – mainly octagons – which does not look at all like the original material). We have figured out the secret sauce – and I think we have a great replica. Oh! 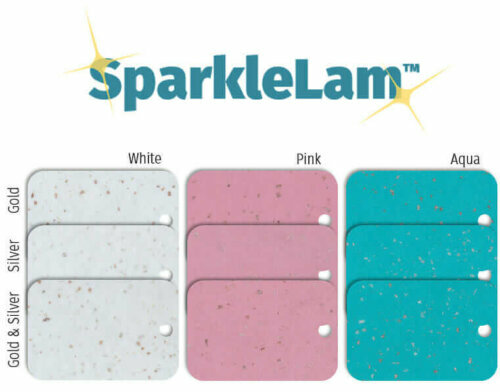 And we named our product SparkleLam. Since it isn’t actually made of glitter, but it does sparkle! Originally we thought that the laminate might cost as much as $35-$40 per square foot, which I knew would have been pretty pricey for the market. I’m happy to say that the price we were able to land on with our manufacturer is just under $20 per square foot – so almost half of what we originally thought. Yeah! Our material does only come in a satin finish (our manufacturer cannot manufacture gloss), but it still has a nice sheen to it. 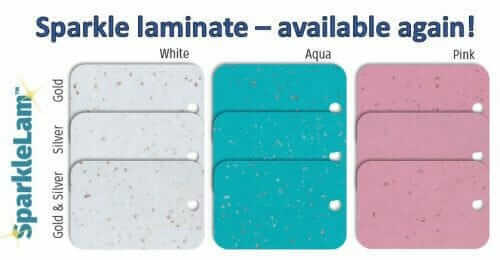 It is actual, real, laminate with a sanded back, the same thickness and wear layer like any other major product brands. The laminate comes in 4’ x 12’ sheets for $925 — it is rolled and the price includes shipping anywhere in the continental US, . Because the inclusions are random, you don’t have to worry about waste from pattern matching so that you can get your money’s worth from the sheet. We have more products in the R&D pipeline – but they are in very early stages. We love to hear from people what products that they wished they could find so that we could see if we can either make or partner with someone who could make the product. 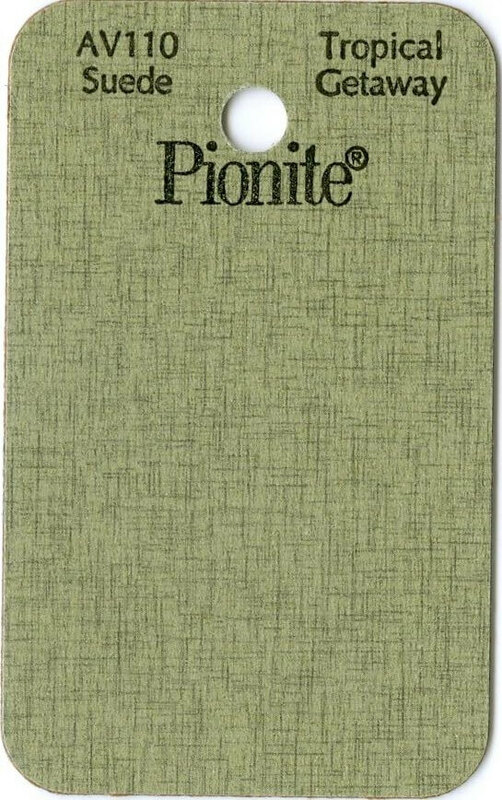 Our goal is to be an online hardware store for mid-century products. Q. Tell us why you made this happen. I love to challenge myself and make the impossible possible. Why isn’t anyone still making glitter laminate? Probably for the very same reason as I was not able to use the original Onyx papers – there’s a lot of up-front investment to be in the game. Large manufacturers are typically not in the business of catering to niche markets. Since we are a small business (with more than a little chutzpah) we are a little more nimble on our feet. We’re also so much closer to our market – we ARE our market – and that’s who we want to cater to. 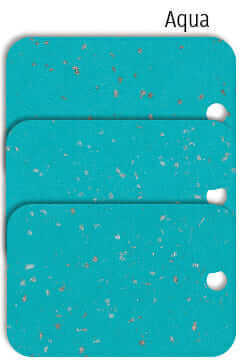 Where to get this laminate: It’s available from Make It Midcentury. Hooray, Susan and Make It Midcentury! Kate did it – and gives us the blow by blow details, including what tools you need. Click her for her DIY advice. Want more glitter luv? >> All our stories about glitter laminate here. We bought new cabinets and laminate counters a few years ago through a big box store. The counters were put in by a kitchen counter company (sub contractor I think) and they came and made a luan template full size then came back with the new laminate counters for installation. Point is, I would think if you gave them the new repro laminate they could make that just like the Wilsonart we selected. I am renovating a 1964 camper and need only about 5 ft of laminate. Canucks sell me a smaller piece somehow, pretty please?